The smell of food is one of the most important factors in assessing its quality. Concerning the smell of dried shiitake mushrooms [Lentinula edodes (Berk.) Pegler], 1,2,3,5,6-pentathiepane, commonly known as lenthionine, has been reported as a key compound. However, other compounds have not been studied sufficiently in connection with smell. 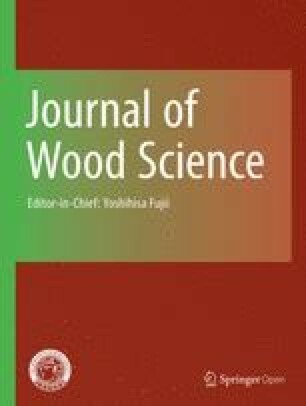 From the results of sensory intensity studies and sensory evaluations of dried shiitake mushrooms, a positive significant correlation at 1% risk was observed between sensory intensity and sulfur perception. This showed that the smell of dried shiitake mushrooms was characterized by a sulfurous smell. Also, comparing the sensory intensity with the amounts of volatile components showed positive significant correlations at 1% risk between sensory intensity and three compounds: 1,2,4-trithiolane, 1,2,4,6-tetrathiepane, and lenthionine. Furthermore, significant correlations at 5% risk were obtained between the amounts of these three compounds and sensory intensity by multiple regression analysis. This showed that the smell of dried shiitake mushrooms depended on these compounds. The partial regression coefficient of 1,2,4-trithiolane was larger than those of the others, and so it was proposed that 1,2,4-trithiolane could serve as an indicator to estimate the smell of dried shiitake mushroom.